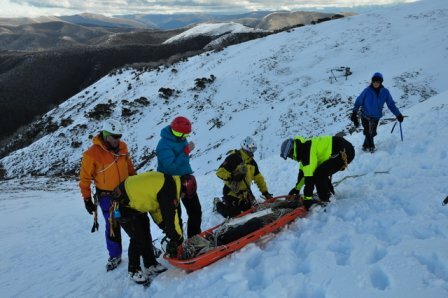 The BSAR Training Weekend is was held at Mt Hotham on 24-25 July. Melbourne members travelling to Bright on the Friday night, then met with members from Gippsland and the North East at JB Plain. 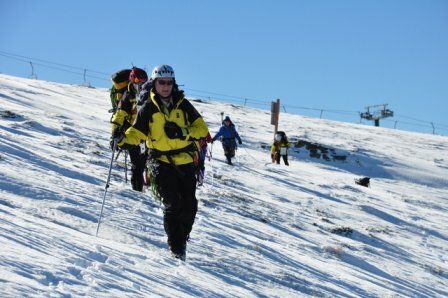 This year Steep Snow and Ice (SSI) training was concurrently with the Winter Search Training on the Saturday followed by combined training on the Sunday in the JB Plain area, which was also where we camped overnight. The weekend was very successful with participants gaining new skills or reinforcing existing skills. At total of 51 participants attended, with 21 being new to BSAR. 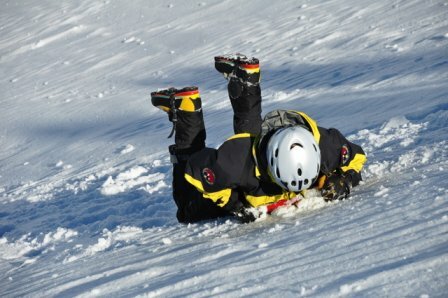 Winter Training for those new to BSAR. Each stream completed training relevant to their expertise and experience. On the Sunday four search and recue teams, each consisting of several search groups, were coordinated by their own training Field Organiser to search for, find and evacuate a lost person. It was noted that a number of people had difficulty in the use of GPS. All Bush Search and Rescue members must take the time to train and be competent in their use. 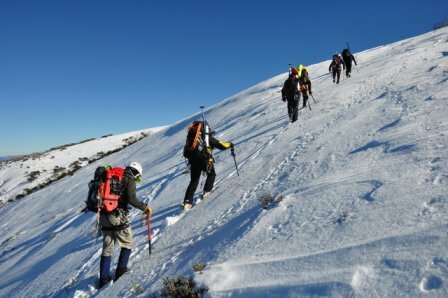 The event confirmed the effectiveness of a prior Steep Snow and Ice Dryland Day for SSI participants. This will be incorporated as a standard requirement for future SSI training events. Experience at the event also revealed the desirability of scheduling a prior Dryland Day/Evening for members new to BSAR to allow potential new members to understand expectations of them. A ‘How does BSAR work’ session would also be included and it would be an opportunity to hand out Manuals and complete GPS initial training. Overall, it was a successful training weekend with new members gaining a good understanding of what is required of them at a search, existing experienced members enhancing their skills and SSI participants focusing on specific skills required in steep, icy terrain.